Mr. Joe Ennis Berry was born October 13, 1924, to the late Ocie Berry Sr., and Ludie Williams Berry, in Jackson’s Gap, AL. He was born the last of eight children. Two sisters; Maxie Bell Barrett, and Emma Lee Gilmer, Brothers; Ocie Berry, Tom Berry, Odell Berry, James Berry, and Ed Berry, all preceded him in death. He confessed Christ at an early age and joined Haven United Methodist Church, and later joined GAP Fellowship Church, where he served as a deacon until his health declined. Mr. Berry was indeed a man of service. In 1943, he enlisted in the Military during World War II where he served in both the U. S. Army and the U. S. Air Force during the European Tour of duty and the invasion of Normandy. One of his greatest honors was bestowed on him in 2014, as he became the first African American ever to be honored with the Legion of Honor Award. It is the highest award issued by the French government for distinguished military service. After returning home from the military, he held a number of service jobs to include driving taxi, working at Alabama Power Company, and school bus driver. 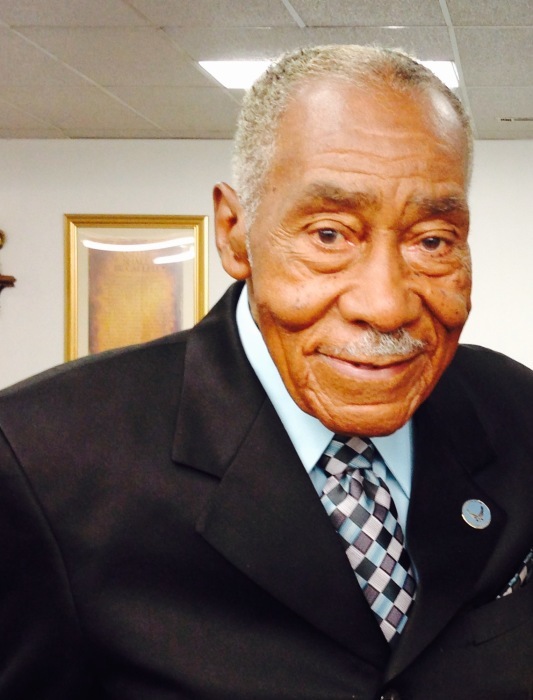 He joined the Alexander City Police Department in 1966 as one of the first African American police officers in Alexander City. It was a turbulent time during the Civil Rights movement where there were no black police officers in the South and very few across the country. He served faithfully for over two decades until his retirement. One of his favorite hobbies was classic car exhibition. He specialized in the restoration of vintage automobiles and over the years established quite a collection for himself. Mr. Berry was well known in the antique car circuit. He was a Chevy and GM man. For years, he showcased his talents in the World of Wheels Auto Shows and participated in various other state and local competitions. He established a reputation second to none and was known as a perfectionist. He achieved many awards with a collection of over 100 trophies for his outstanding talents. Mr. Berry was a mentor and advisor to many both young and old. His nickname was “Doc,” because many would seek out his advice and he would seem to have the right prescription with the counsel he provided. Mr. Joe Ennis Berry was married to the late Mrs. Carrie Walker Berry, to this union one daughter was born. He transitioned to his heavenly home on Wednesday, January 23, 2019. His life, legacy, and love will be forever cherished by his devoted daughter, Marilyn Ann (Lewis) Benson, Alexander City, AL. Two grandchildren, April Michelle Benson, Birmingham, AL and Walker (Stephanie) Benson. Two great-grandchildren, McKenzie Ann Benson and Daylen Meadows. One adopted grandson, Cedric Meadows; Two Sisters-in-law, Ella Pearl Walker and Mary Bradley both of Alexander City and one brother-in-law, Edward (Gladys) Walker, Birmingham, AL., and a host of nieces, nephews, friends, and extended family.